I can't beleive that year is half over! I swear the older I get the faster they go by. In January I uploaded my 2017 Goals. In that post I set 5 goals for my blog and myself in 2017. In 2015 I upload 50 and I thought that was amazing. Then in 2016 my motivation disappeared. I only uploaded 34 posts in 2016. I had to do better in 2017. This post is number 89 of 2017!! I am so proud of myself for doing it! If I stay on schedule I'll upload my 100th of 2017 on July 1st! I can't believe it! As of today I've kept to this goal! I even uploaded every day for 18 days in April in honor of my blog's birthday! I am so excited to have kept to this goal! I love writing this blog so much! I wish I could upload everyday but my experiment in April proved that was a possibility for me right now. We'll see next year. I have done so much better at using more of my own photos! And I have decided to use only my own photos from now on. So I'm in the process of taking photos for my stock photo blog posts and replacing the stock photos. I can't wait until all the photos on my blog are mine alone! Ok so... So far I've only read 2. It's terrible I know. I just haven't had much time. I think I'm going to have to set aside a hour for reading everyday. I miss it but I just haven't had the time. Ok so I haven't written more than 2 lines. Again because I haven't had time. I need to set aside time for it too. I actually just had an idea the other day to set up a private blog and right each chapter as a blog post until it's done. Maybe that will help me write it. We will see in December I guess. On the blog front I'm doing great with my goals. But I need someone to yell at me to finish my book and to read more. I need to take a break and just write or read. 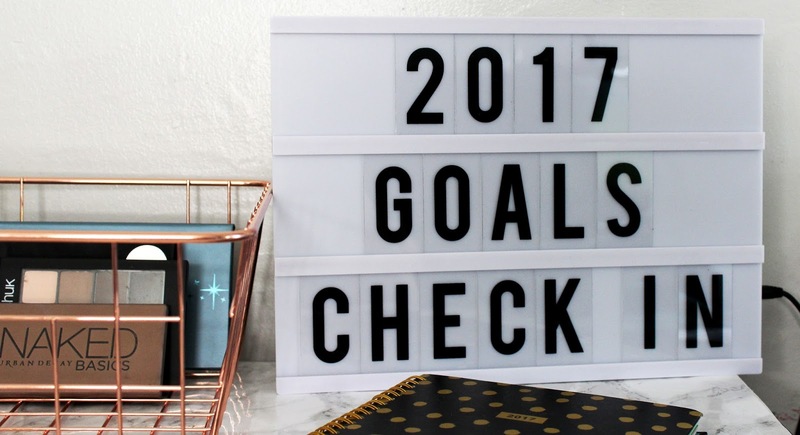 What were your goals for 2017? How have you been doing? Let me know in the comments below.